These cylinders have been designed to produce a high working force for a very light weight in water. These cylinders incorporate HYDRO-LEK mini banjo fittings for ease of plumbing. Constructed of 316 SS and HE 30 Aluminium. They are available in several standard lengths and can be manufactured to other lengths if requested. The HLK-1300 is constructed from 316 stainless steel, which is corrosion resistant. 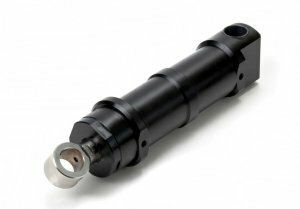 They are available with various stroke and shaft lengths and can be retro fitted on all existing HYDRO-LEK HLK-1070 and HLK-1080 cylinder installations. Stoke lengths up to 1300mm have been made to date. 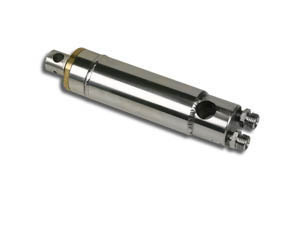 These cylinders are extremely lightweight with a very high working force. They use HYDRO-LEK mini banjo fittings for ease of plumbing. Constructed of 316 SS and HE 30 Aluminium. 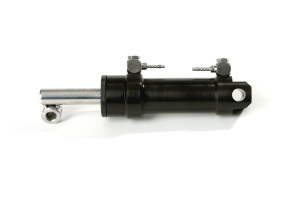 They are available in several standard lenghts and can be manufactured to other lengths if requested.